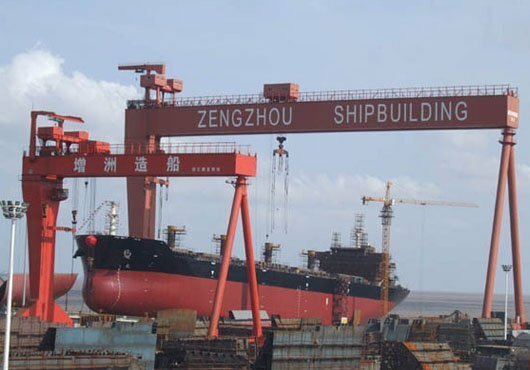 Zhejiang Zengzhou Shipbuilding has won a bid from Zhoushan government for the construction of a 22,000dwt river-sea bulk carrier. The construction of the vessel will commence in the first half of 2017 and is expected to be completed by February 2018. The contract value is RMB65.4m ($9.46m). The vessel, to be operated by Zhoushan Yihai Shipping, will be used to transport iron ore directly from Zhoushan’s seaport to the river port terminal of Ma Steel in Ma’anshan of Anhui province. The vessel is designed by Zhejiang Xinhai Shipping Design Research Institute and classified by CCS. According to Zhoushan Port Authority, the ship type is expected to save up to 10% in shipping costs between the two ports. Zhoushan government and Ma’anshan government signed an agreement in November 2015 to jointly develop river-sea shipping networks and build a fleet of river-sea bulk carriers.